Is Jurassic World Stealing from Independent Illustrators? Sorry for the clickbait title. The answer is yes. Yes they are. It's one thing when toy companies do it. It's quite another when a big-budget Hollywood movie starts stealing the work of independent paleoartists and illustrators for use in their production design. It started when well-known paleo illustrator Brian Choo posted the following modified production still to his DeviantArt account. The photo in question is fairly low res and comes from the newly opened Jurassic World web site. The still features children using a prop in the movie called a "Holoscape", presumably a kind of interactive computer terminal featuring information about the various kinds of dinosaurs in the park. Still from Jurassic World, modified by Brian Choo to highlight areas of plagiarism. Look Familiar? Photo by Bokisaurus. Last time, I mentioned that Darren Naish, Mark Witton, and John Conway recently published an article on the (shameful) state of paleoart as used in professional and commercial contexts. This was in reference to toy companies like Safari Ltd., who often produce inaccurate dinosaur figures under the banner of "museum quality" or "paleontologist approved." 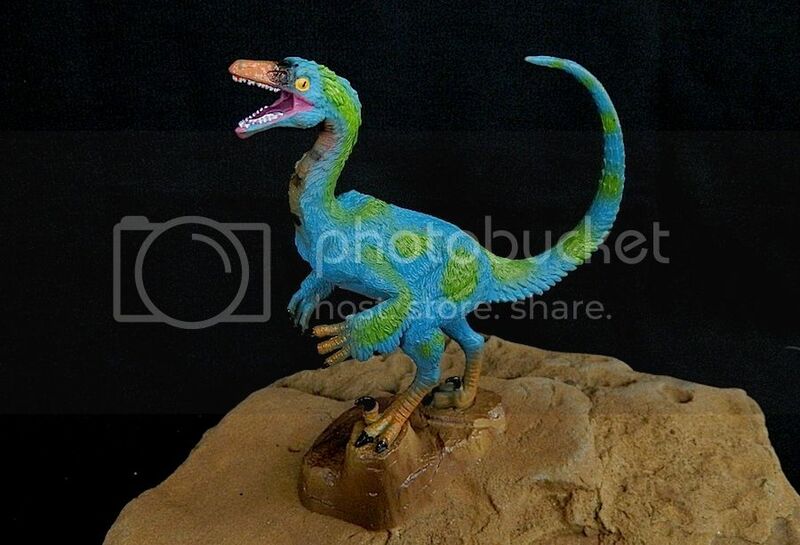 "All models in the Geoworld collection are scientifically accurate museum replicas of dinosaurs or prehistoric animals. Each model is sculpted by expert craftsmen under the supervision of Dr. Stefano Piccini, geologist and paleontologist, to ensure the correct shape, posture and proportions. Geoworld products are paleontologist and geologist approved!" That sounds very nice, except for one unsettling fact: Nearly every figure in the Geoworld dinosaur series is blatantly plagiarized from independent paleoartists. Not only that, but often the actual original art itself is reproduced with a few minor tweaks and printed on the info cards that accompany each figure. No credit, let alone payment, has been given to any of the offended artists.